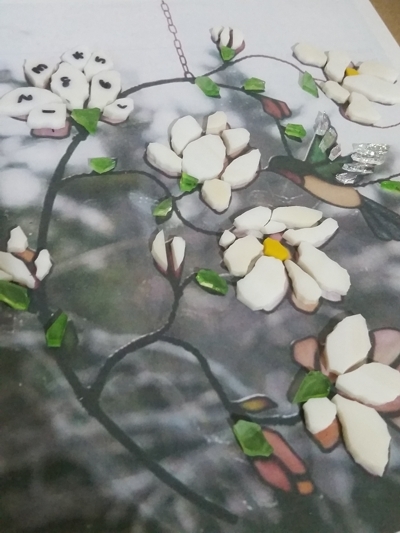 I was hoping to have had my latest mosaic finished today but the weather over the weekend was so nice that it would have been a shame not to spend it outdoors. So instead I'll have to show you my work in progress photos and hopefully have the finished piece to show you next week. 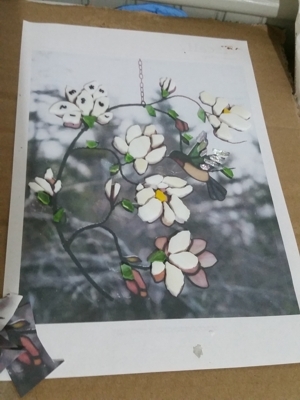 Well, I finished that a few days ago and started cutting out the piece of mirror I needed - always a nerve racking experience. 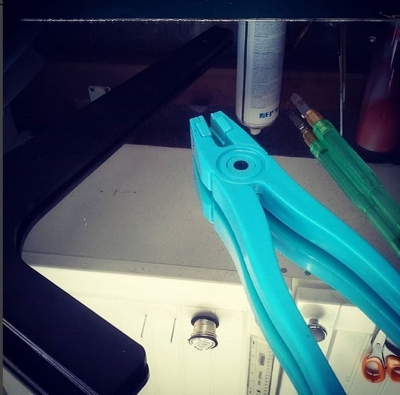 These are the tools I use to cut the mirror, making sure it is clean first so that I get a clean score. I get my mirror from a skip outside a glaziers. 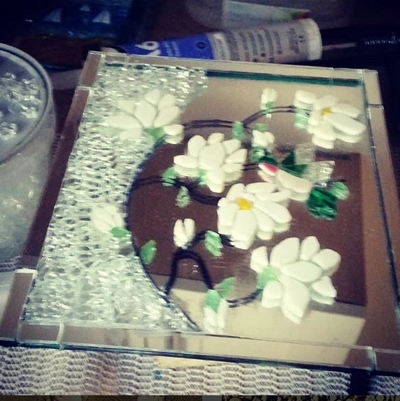 This mirror was a broken piece that looks like it must have been on someones wall as it had some holes drilled in it. I love to re-cycle! Success! Here is the mirror cut to the size I need and borders added. These were cut out previously. 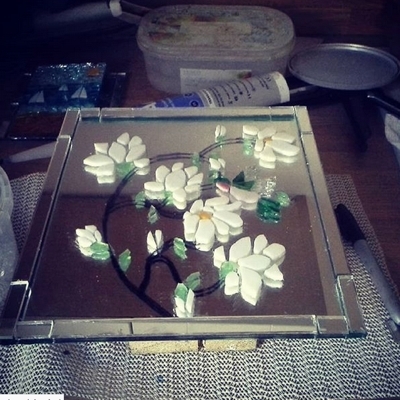 Here are the flowers and hummung bird laid out ready to be fixed to the mirror. Here are the final pieces being added to the mirror. They are tempered glass - or safety glass - similar to that which you would have in your car windscreen. 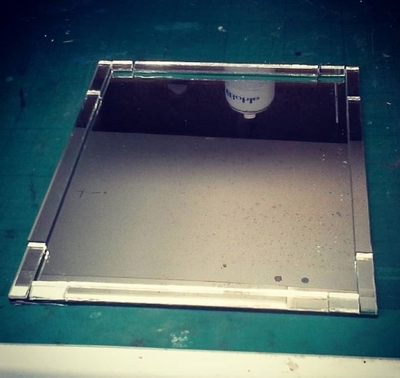 This glass can only be cut once so if glaziers make a mistake they can't re-use the glass. I was given one of those pieces - it was a large sheet and it is going to take me a long time to use it all up.